Amanda Tapping answers fans' questions at Joseph Mallozzi's blog. Darren and David discuss the second season of Stargate SG-1! PLUS: Vancouver calls like a siren. This Week: Creation’s 2009 Vancouver Convention! The biggest Stargate convention of the year is this week, and GateWorld is set to bring you the daily goods! GateWorld slips on headphones for a chat with Stargate's Neal Acree and a listen to his music! More guests are headlining Creation's annual salute to Stargate in Vancouver, British Columbia! Stargate Atlantis executive producer Robert C. Cooper talks about the Wraith in the Season Five episode "Vegas." SCI FI Channel president David Howe discusses the reasoning behind the network's upcoming name change. GateWorld Podcast: Open Line Night! You pick the topics for this week's podcast! PLUS: Darren and David talk about the new SGU teaser. Browse GateWorld's exclusive gallery of over 50 quality screencaps from the first Stargate Universe teaser! Watch the first Stargate Universe preview! VIDEO: The first look at SCI FI Channel's new fall series has arrived! Check out the first SGU cast photo!  Entertainment Weekly has just published the exclusive first cast photo for Stargate Universe! 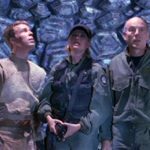 The entire first season of SG-1 is available right now to watch online, for free! SCI FI will air the very first peek at Stargate Universe during this Friday's finale of Battlestar Galactica. 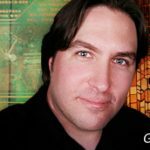 GateWorld Podcast: Are Replicators Alive? Darren and David discuss the metaphysics of Stargate's evil artificial lifeforms.